So what have the student wardens done? You may have noticed us at the promotional stall we held during ReFreshers week. Below is a photo of a few of us from that week, including myself, Nick, Kim, Tochukwu, and the VP for welfare and community, Cheryl. If you see us around and want to ask about the wardens you are more than welcome to stop us. We are a friendly bunch! We are always after innovative ideas to promote the student wardens scheme. So if you have a creative mind and would like the opportunity to showcase your ideas, this scheme would be perfect for you! We have worked with the Cyrenians homeless charity to push clothing and food collection campaigns. We raise awareness of the collections towards the end of each semester because we know many students and local residents have unwanted items that they wish to get rid of. The aim is to provide a convenient way for people to donate unwanted items that can be used by the Cyrenians to benefit our local community. We also joined up with CUSU staff and the Cyrenians to wrap Christmas presents for the homeless in December. 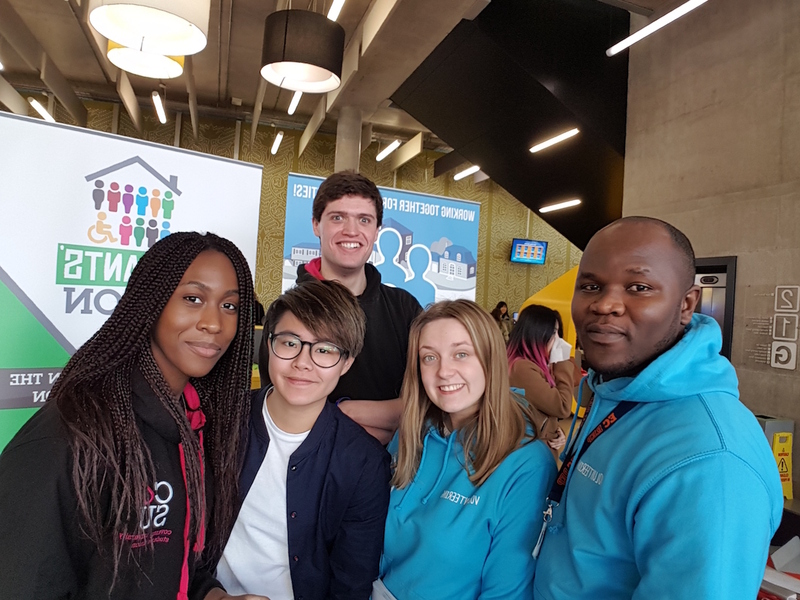 We will be taking part in many more projects this year, so if you are the kind of person who is passionate about making a difference, we need you as a student warden! 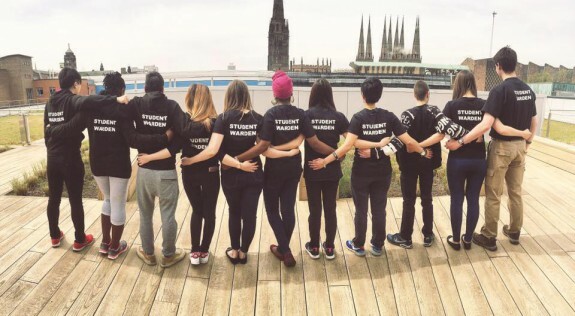 Know that no voice is viewed as small within the student wardens. If you have a project/event you think we should get involved in, bring it up in one of our weekly meetings and watch your ideas bring about a positive change within our community. We go out on regular patrols and talk to residents about concerns over bin collections, litter and anti-social behaviour. It’s great because it gives us the opportunity to talk to people we wouldn’t have otherwise had the chance to speak to and it helps develop communication skills. It also allows us to understand what issues to focus on and come up with solutions to tackle these issues. Litter was a big concern, so we decided to organise litter picks throughout the year to tidy the area and hold a campaign to educate students on how to use the different bins appropriately. Our efforts have even been recognised by the BBC who produced a short video about us. So why join the student wardens?